Superior Rooms are generously proportioned and exceedingly comfortable. Room provides trendy with a comfortable floor area of 25 sqm, our Superior Rooms offer a simple yet chic feel. 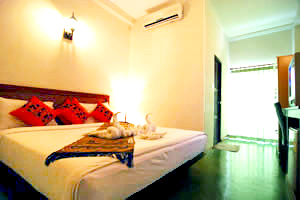 While the lodging also offers such thoughtful amenities as broadband internet access and satellite TV. Extraordinary accommodation for budget rates, Lanta Residence Boutique Resort’s Superior Rooms offer one of the best values for your money.